We hope you all enjoyed the chance to get your hands on some rare posters in last week’s Predators giveaway – we know we had a blast! This week we found something extra special for one very lucky fan to take home. 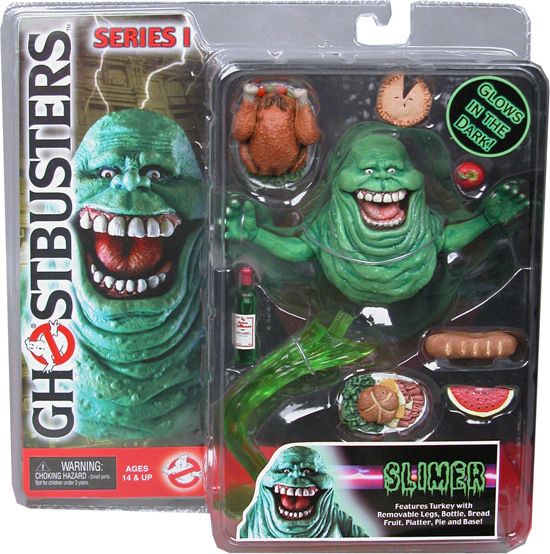 Thanks to NECA, we have an extremely rare glow-in-the-dark Ghostbusters action figure… It’s everyone’s favorite green ball of ectoplasm, Slimer! Keep reading to find out how you can win this little guy. Caution: Real Nasty! 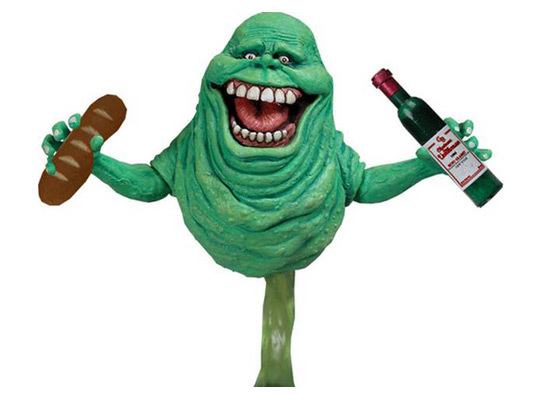 Known for his gigantic appetite, Slimer was the first ghost successfully captured by the Ghostbusters and has stuck around to annoy everyone ever since. Throughout the Ghostbusters films, he has been shown to have a little intelligence, but his desire for a good snack is his main priority. Standing at about 7″ tall, this figure glows in the dark and includes a turkey with removable legs, bottle, bread, fruit, platter, and a display base! If you want to win The Spud, you must answer the question correctly. If you have Facebook and Twitter accounts you can gain a much bigger advantage in taking this awesome figure home. We love to hear what you have to say. Be sure to let us know what prizes you would like to see in our future giveaways, and there is a strong chance it will be the prize next week! 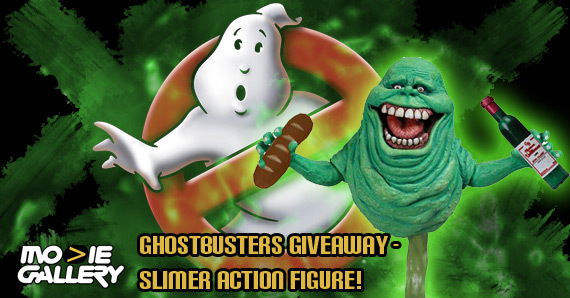 This entry was posted in Contests & Giveaways, The MG Blog and tagged ghostbusters, ghostbusters giveaway, neca, slimer by summerm. Bookmark the permalink.